Ed was determined to go camping this summer. DETERMINED! However, it was really hot this summer. We were also really busy. So he had a brilliant idea. We were going camping…in our backyard. We would pick a cooler weekend, and all we had to do was set aside one night instead of the whole weekend. I was a big fan of this idea. Seriously. It meant a lot less work for this mama. After we set up the tent, we took a hike in the woods. There’s a nice trail along the river less than a mile from our house. 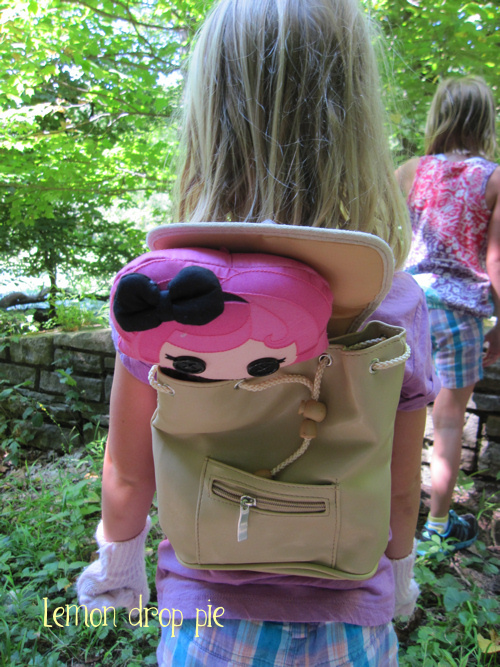 Always bring your dolly with pink hair hiking with you. And pink gloves. They help protect you from poison ivy. Roasting hot dogs–how can I not love it when they make their own dinner? 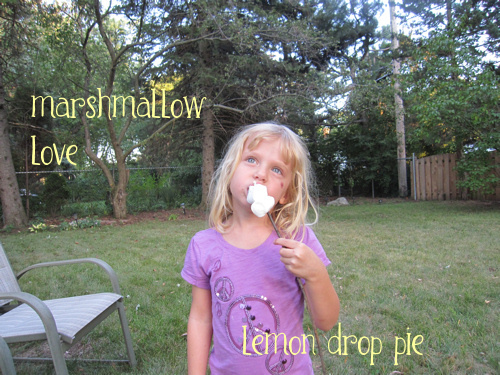 Emmy loves All Things Marshmallow–but no roasting, please. The stick is just for show. 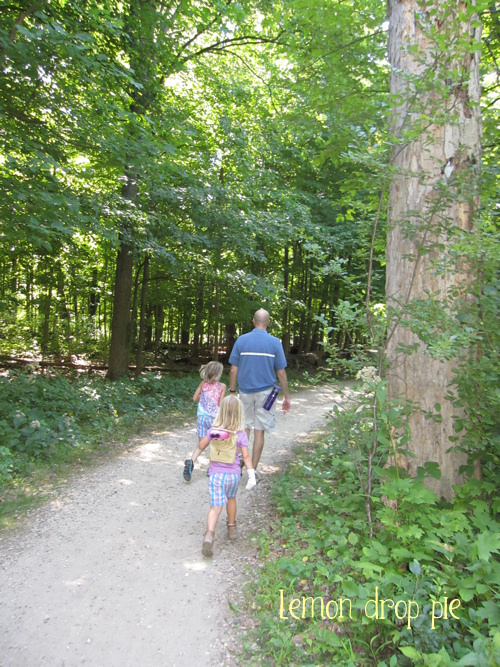 Camping in our own backyard meant we did not have to be afraid of bears. 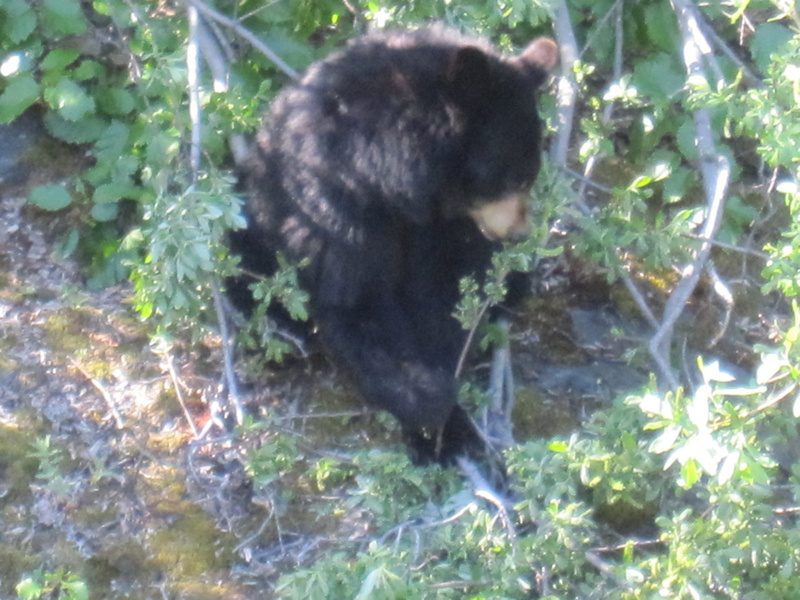 We saw this black bear during our trip in Alaska. No bears in Illinois…however, we were very afraid of our nightly, furry visitor, Mr. Skunk. I waved the flashlight around a lot and stomped my feel whenever we were outside. I took this next picture a few nights after we camped, from the safety of my house. Sorry for the fuzziness, but I wasn’t about to get any closer! Mr. 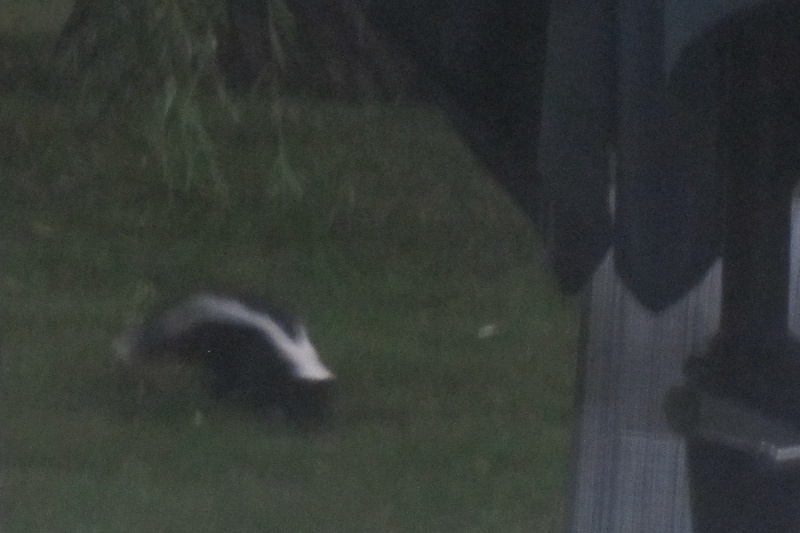 Skunk, as I affectionately call him. In our version of camping, we don’t use sleeping bags. 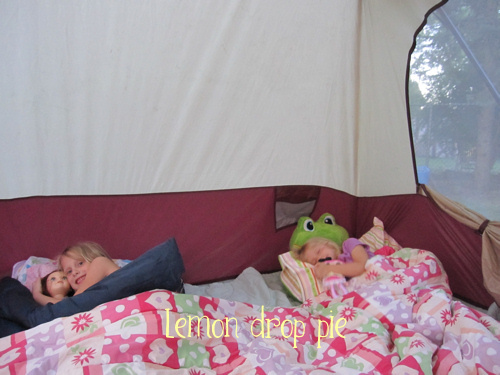 Air mattresses, sheets and comforters are how we sleep in a tent! Ah, it’s almost like sleeping in our own bedrooms! 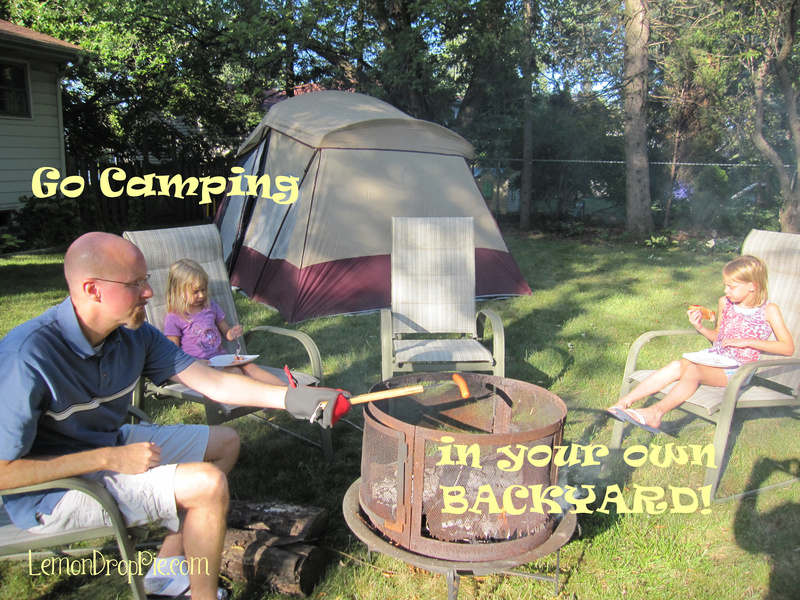 Have you ever camped in your own backyard? Sounds like a perfect camping trip! This looks like my kind of camping! What a great idea to camp right in your yard. I love this! I've never been camping but then again, I didn't know you could use air mattresses and blankets. Maybe it's time to rethink camping :). My recent post Want to Connect With HWC Members In Your City? It’s so great that you are teaching your kids to love the outdoors. My recent post Liebster Award! My recent post I'm Baking Friends! Yes, with a B! I never camped in my own backyard, mainly because my parents weren't big on the camping. I have since camped (twice) and agree with my parents: not for me! I do however see quite a few tents in my neighbourhood that stand for one day to two weeks. I don't know whether anybody is actually staying in them, but it seems quite a good idea for youngsters to get a bit of a 'holiday-feeling' when the parents have to work.